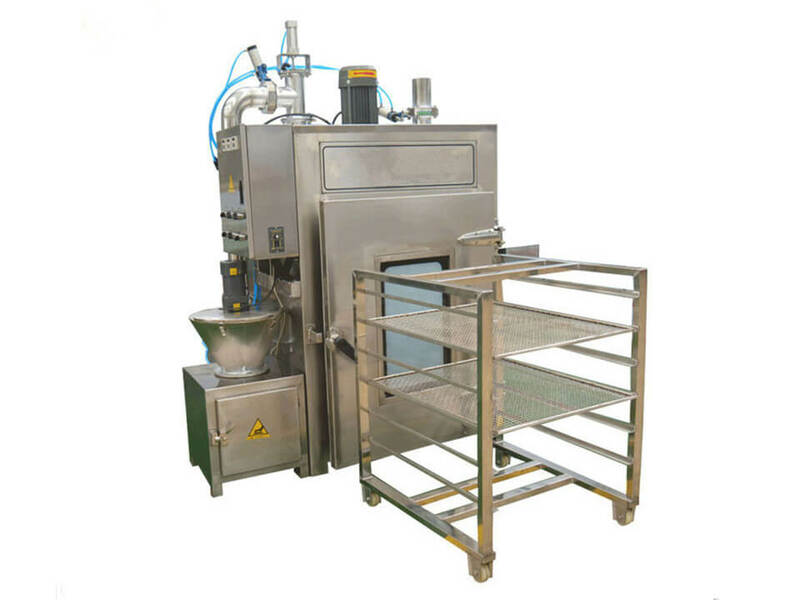 Meat smoking machine is used for smoking meat, such as sausage, fish, chicken, etc. 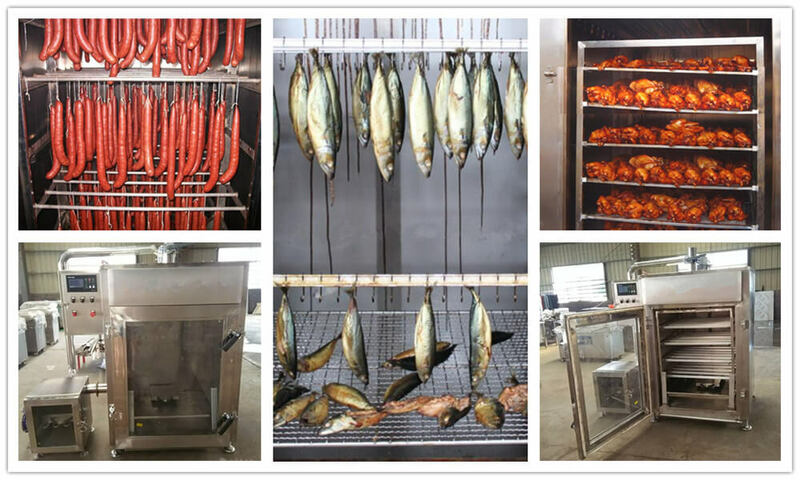 The smoking equipment is very proper for meat food plant, meat food factory, sausage plant, etc. 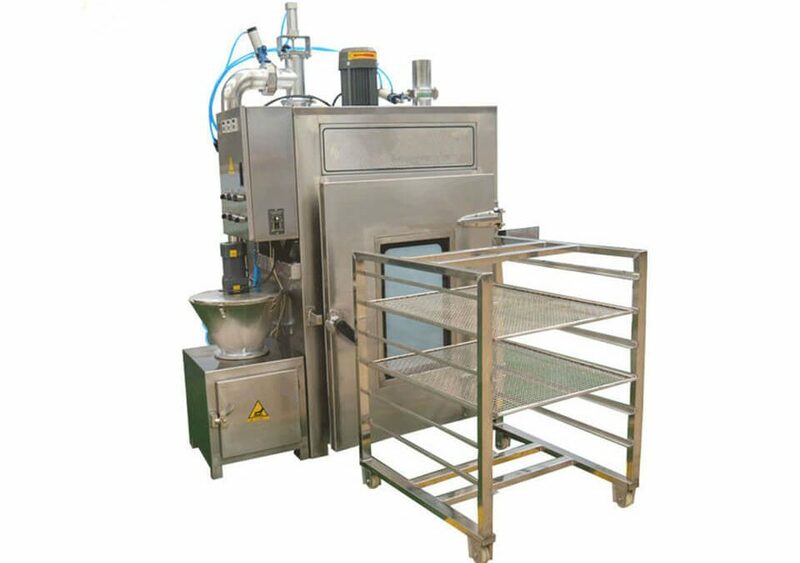 This sausage smoking machine is capable of smoking, steaming, boiling, drying, baking and cleaning. 1. 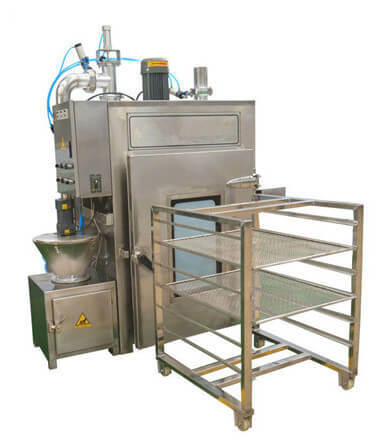 Smoking and recycle system makes the smoke spread so equably that the meat have uniform color. 2. Excellent insulation and sealing performance. Low energy consumption and high efficiency. 3. 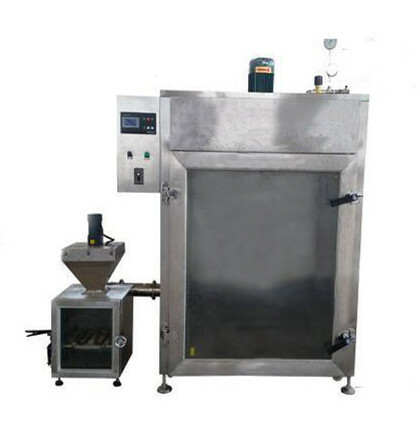 Meat smoking machine has function of steaming, frying, boiling and smoking with operate operation. 4. PLC programme, digital displaying, auto temperature and time adjusted.